MageCloud partnered with Cubix WS to offer Cubix Address Label Printing in your MageCloud panel for our simple 1-click installation option. To install this extension - create your account with MageCloud and launch a new Magento store. It takes only 3 minutes. Cubix WS always provides support for customers who have installed Cubix Address Label Printing Magento module. Feel free to leave a review for the company and the extension so we can offer you better products and services in the future. You may want to check other Cubix WS Magento extensions available at MageCloud and even get extensions from hundreds of other Magento developers using our marketplace. 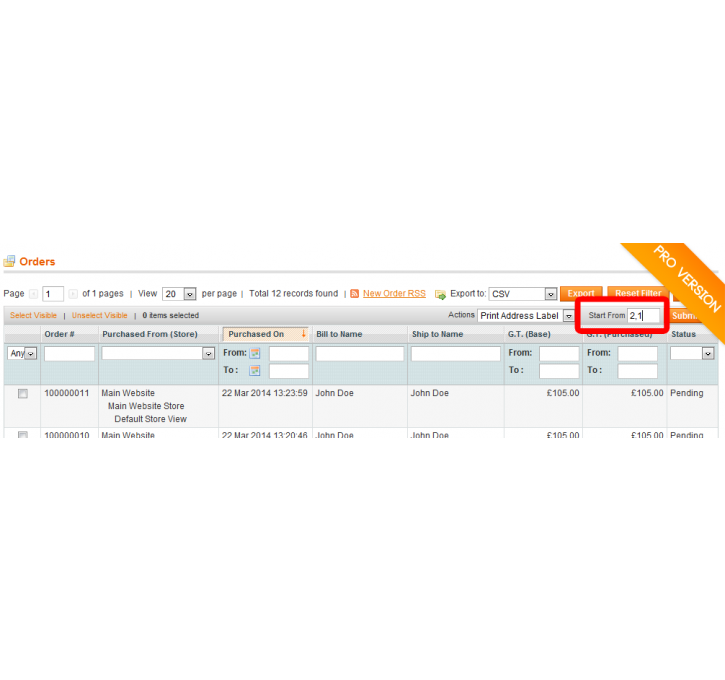 Do you need to print Address labels directly from the Magento admin panel? This lightweight and sturdy extension from Cubix Web Solutions allows you to just do that. 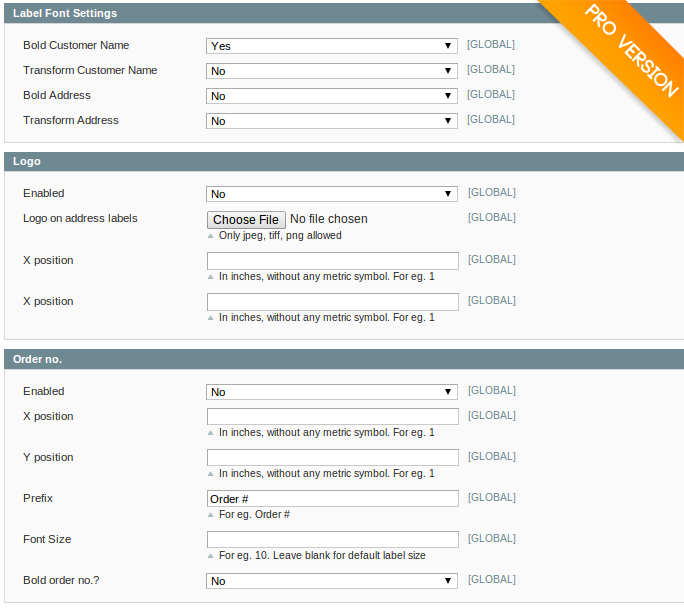 You can select multiple orders from the Order grid and print address labels in just one click. 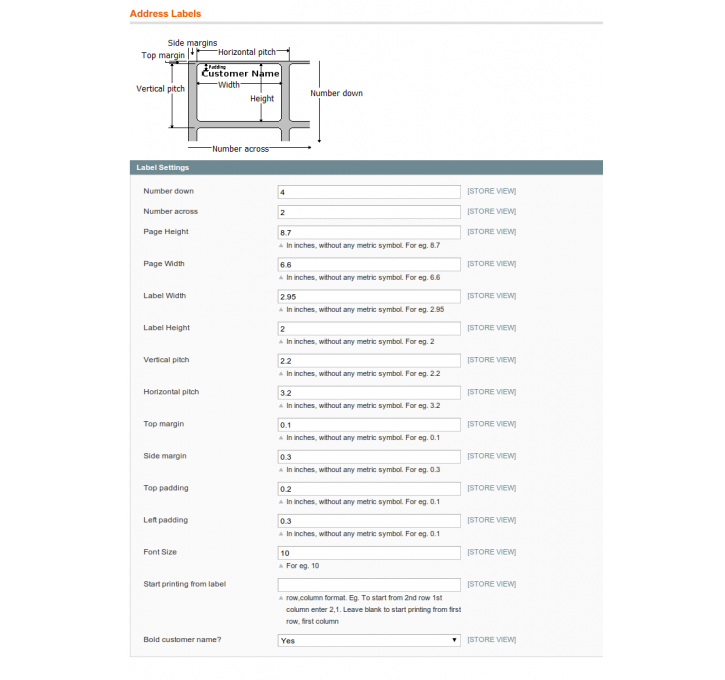 You can configure the label sheet dimensions. 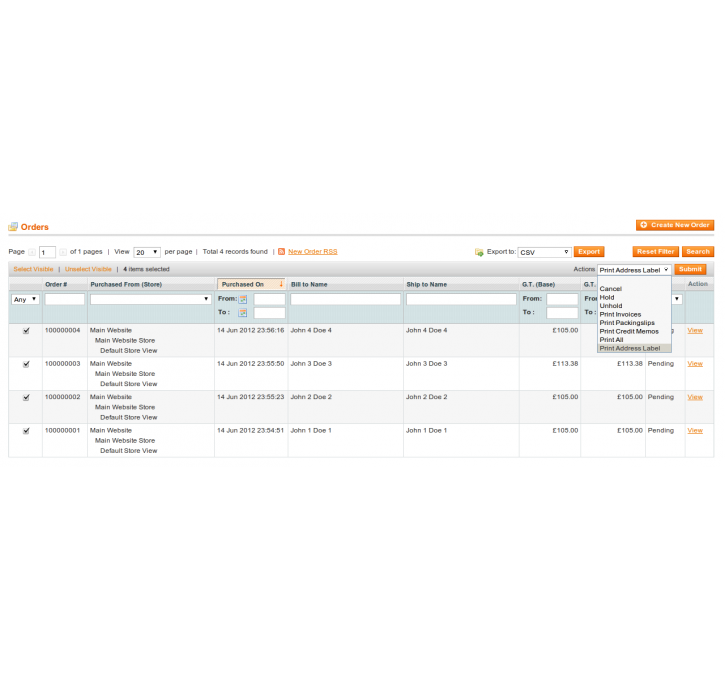 You can also specify the label (row and column number) from where your printing should start. Cubix Address Label Pro now available! * Barcode (beta). Add your order number as a barcode on the label. * Ability to add logo to each label. Can be company logo, shipment pre-paid logo, etc. * Ability to add order no. to each label. You can also add a prefix to the number, eg. "Order #", "No. ", etc. * Ability to edit the label address template. Bring postcode before country name, remove company name, etc. * Multi-line support. For addresses with long address line that can spillover to next label, the text is automatically moved to a new line. * Label guidance. Ability to draw an outline box on labels. Helps in configuring perfect dimensions for your labels.